Public attitudes are changing with two-thirds of Australians now believing the prime minister should take urgent action to resettle refugees by the end of the year, according to a new poll. National polling released on Wednesday by Not for Profit Save the Children found 66 per cent of Australians believed refugees on Nauru and Manus Island had been living in limbo for too long. The findings also showed 77 percent of Australians – including three-quarters (75 per cent) of Liberal Party voters – want Turnbull to accept New Zealand’s offer to resettle refugees, while an overwhelming majority (93 per cent) said separated refugee families should be reunited. Save the Children Australia’s head of campaigns, Tim Norton, told Pro Bono Australia News they were “pleasantly surprised” by the results and it was “really welcoming” to see public attitudes were shifting. “We’ve seen in the last couples of years that the polling results have never really been in our favour, there has been a lot of widespread public support for the current system of offshore processing… [but] the public attitudes are changing,” Norton said. “And I think there are a number of different reasons for it. “I think the increased visibility of what’s happening, the recently leaked Nauru files, the Amnesty and Human Rights Watch report of what they saw when they were on island, the Human Rights Law Centre stories of the men from Manus, all of these things are kind of adding to the public’s knowledge of what is happening, and breaking down that barrier that the government relies on, which is a wall of secrecy and a wall of misinformation. Voters from across the political spectrum supported a bipartisan approach to dealing with the refugees on Nauru and Manus Island, with 75 percent believing Turnbull and opposition leader Bill Shorten should work together to find a solution. Norton said he hoped the change in public opinion would put pressure on the government to act. “I think it helps us definitely and it is the one leg that we haven’t had in the past,” he said. “We can make the humanitarian argument, the humane treatment arguments, the ‘right thing’ arguments, but none of these things actually convince governments to push. “So part of this is a concerted effort to kind of break down a lot of those things that are holding up the government argument. “Our joint report with UNICEF recently kind of attacks the credibility of the economic cost, some of the work from GetUp and Human Rights Law Centre are attacking the business case of whether it is viable to continue these operations and then if we can release this polling and actually show that the public attitude is changing, that’s three legs that the government is leaning on to hold this policy up. “The fourth one is international diplomatic pressure and that one is obviously harder to quantify, but I think we are starting to see that as well, we are starting to see European governments look to us for example, and very hardline right organisations and politicians pointing to Australia as the best case example, which is incredibly worrying. The results come as the prime minister prepares to depart for New York where he will attend two major global forums that will seek to address the current global refugee crisis – the United Nations General Assembly meeting and a world leaders’ summit hosted by US President Barack Obama. Norton, said the meetings offered Turnbull an opportunity to shift the nation’s asylum seeker policies to a more humane and sustainable approach. “In many ways, especially Malcolm Turnbull inherited a lot of his, it is his policy and he supports it, but it was put in place by his predecessor and before then put in place by the previous Labor government. That allows him a little bit of space to actually step up and be a leader and offer a solution without needing to back down to his colleagues in the more of the right wing,” he said. 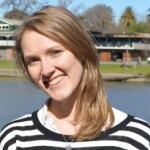 “So I am hopeful he can see it as an opportunity to end the current system, offer some hope for those on Nauru and Manus and then the next tricky step is working towards what a regional protection framework would actually look like, how we can support people who are in transit countries, how we can funnel support and resources towards source countries and help end conflict. “If we can put an end to exactly what we’re doing to people on Nauru and Manus and close off that chapter and then move on, that would be a great legacy for Turnbull to actually go away from this summit. Norton said the problem was not going away. “The latest figures from the UNHCR actually show that it is the biggest number of displaced people in human history, so it actually went over the ticker of more people than World War Two about a month ago,” he said. “That is a huge number, something the world’s never actually dealt with before and it means that we need to change the way that we look at a refugee, change the way we look at asylum, at displaced people, at borders, at nationality, at identity, all of these sorts of things need to be tackled, that’s no small undertaking but it is not going to go away. He said the most urgent matter facing the government in this space was the fate of refugees and asylum seekers “stuck in limbo” on Nauru and Manus Island. “The government continues to justify its treatment of these refugees by declaring they have the support of the Australian people. But these results show that just isn’t true and Australians are demanding a better way,” he said. The poll findings come a day after a report by Save the Children and UNICEF Australia revealed the full financial, human and strategic cost of Australia’s deterrent immigration policies. “The At What Cost report, along with the leaked Nauru Files, have shone a spotlight on what is happening on Nauru and Manus Island. 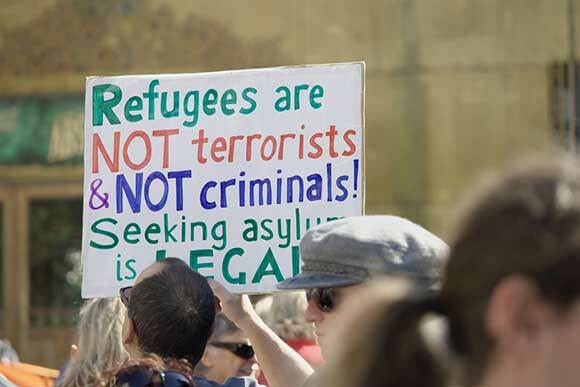 This polling shows attitudes are changing, and the Australian public is no longer willing to be complicit in a system that causes physical and emotional damage to people seeking asylum,” Norton said. Just do the right thing! You know perfectly well what that is. The world is watching.